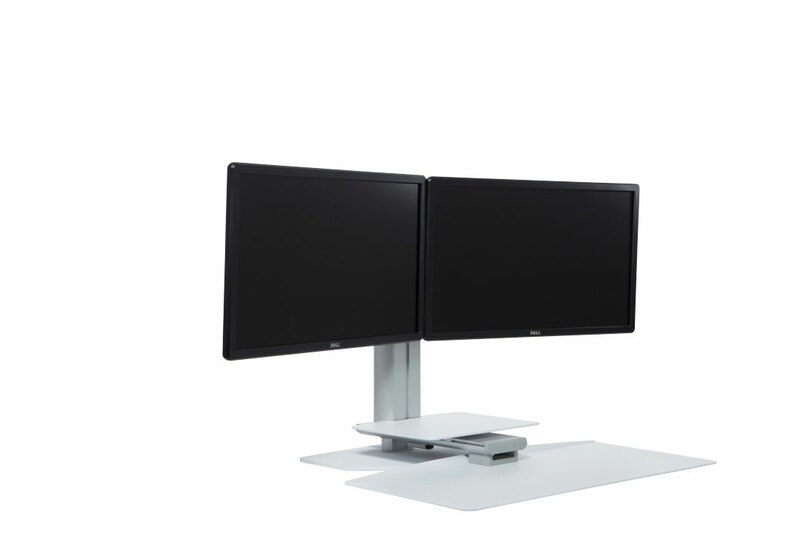 An innovative, high quality and affordable alternative to the big, bulky and industry standard height adjustable desks. 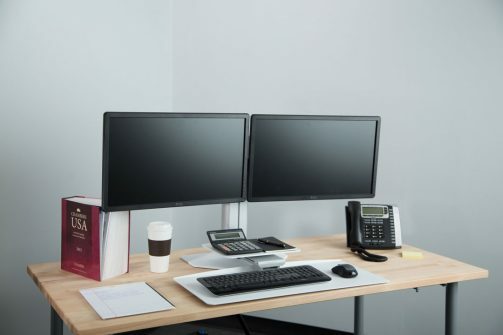 Transform your existing desk or table into a high-quality and affordable sit to stand workstation. 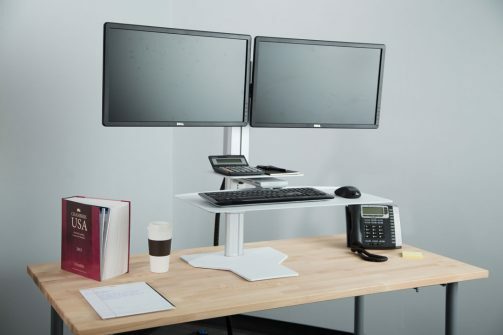 – Small footprint that can slide effortlessly out of the way to free up desk space. 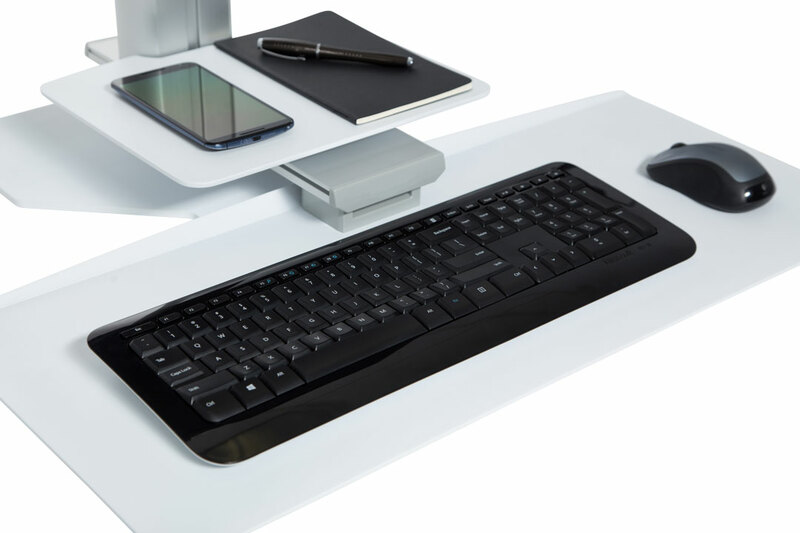 – 69,9 cm keyboard tray allows space for full size keyboard and mouse. 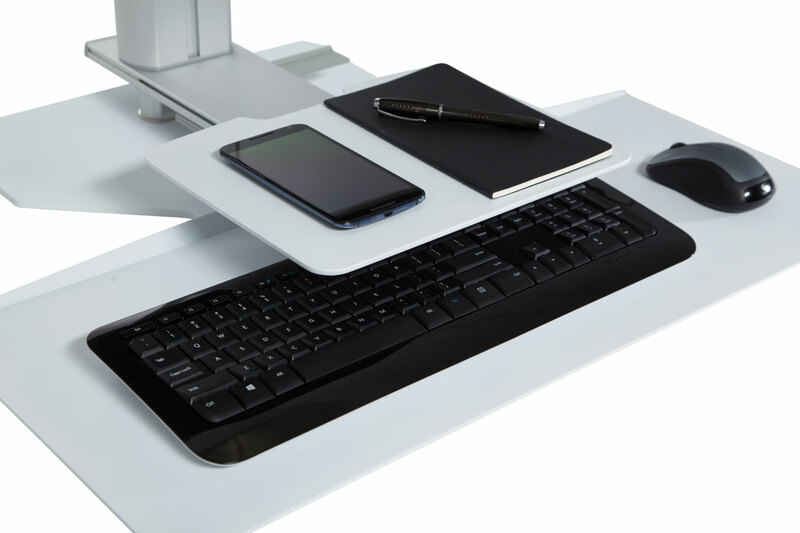 – Slide in / slide out work surface for additional workspace and storage. 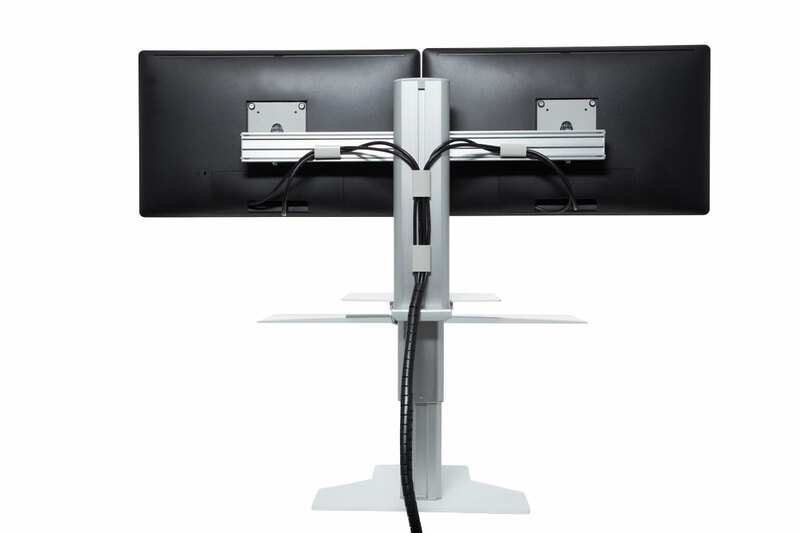 – Convenient rear cable management clips in column and crossbar keep cables organized and out of view (shown above). 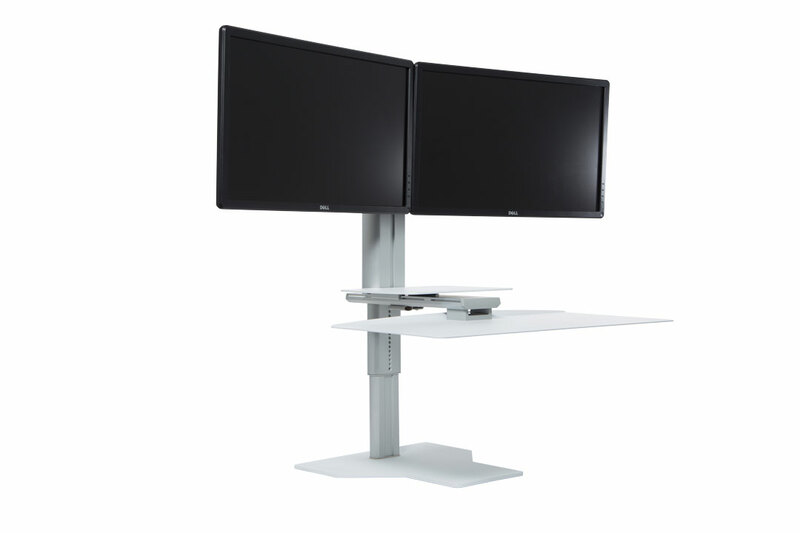 – Single action quick release adjustment from sitting to standing. 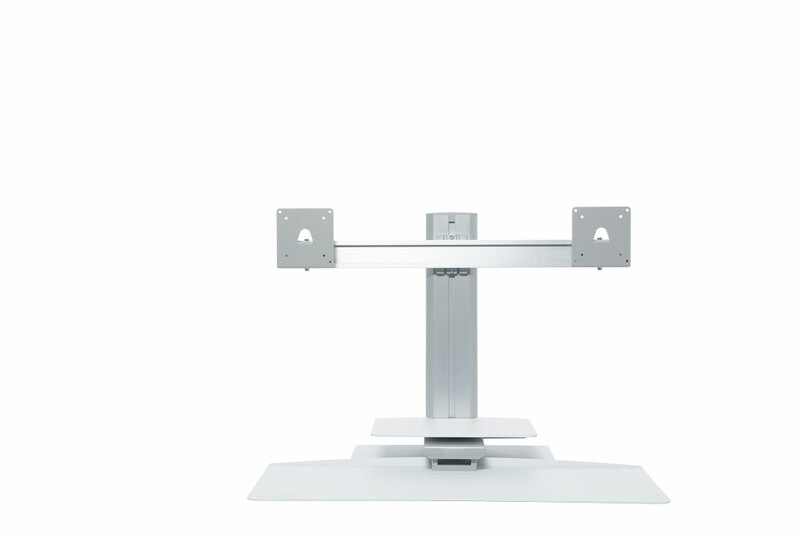 – Locking actuator maintains the unit firmly in position at any height. 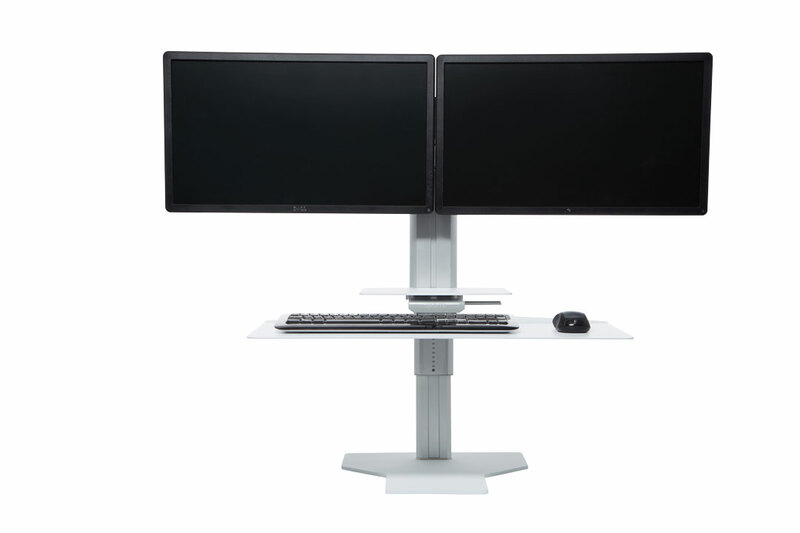 – Telescoping upright column promotes a low profile unit in the seated position.